This bill sets forth the right of a mother to breastfeed her child in public. 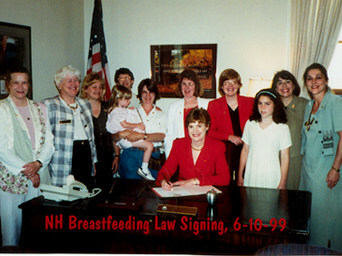 Sponsors: Rep. M. Fuller Clark, Rock 36; Rep. T. Reardon, Merr 23; Rep. Rabideau, Rock 16; Rep Gile, Merr 16; Rep New Hampshire Breastfeeding Legislation Keans, Straf 16; Sen. Wheeler, Dist 21. In the year of Our Lord One Thousand Nine Hundred and Ninety-Nine AN ACT relative to a mother's right to breastfeed. The general court finds that breastfeeding is the best method of infant nutrition. The American Academy of Pediatrics recommends that children from birth to age one should be breastfed, unless under particular circumstance as is medically inadvisable. WHO and UNICEF have established as one of their goals for the decade the encouragement of breastfeeding. 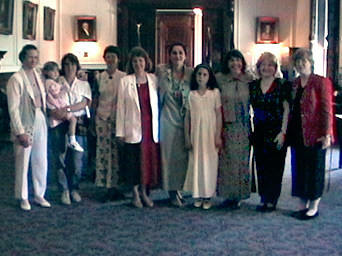 The general court finds that medical research shows that human milk and breastfeeding of infants provide many health benefits for a child such as lower rates of death including sudden infant death (SIDS) and decreased incidence and/or severity of diarrhea, respiratory illness, bacterial and viral infections including meningitis, ear infections, urinary tract infections, gastrointestinal infections and chronic digestive diseases, childhood leukemia and other cancers, diabetes, allergies, obesity and developmental delays. Breastfeeding also provides significant benefits to the health of the mother, including a reduced risk of breast and ovarian cancers, postpartum bleeding, osteoporosis and hip fractures in the postmenopausal period, an earlier return to pre-pregnant weight, delayed resumption of ovulation with increased child spacing, and the psychological benefit of an enhanced emotional relationship or bonding between mother and child. The general court further finds that in addition to the health benefits for the mother and child, breastfeeding provides significant social and economic benefits to the state, including reduced health care costs and reduced absenteeism for care attributable to child illness. Therefore, the general court finds that breastfeeding a baby is an important and basic act of nurture that must be encouraged in the interests of maternal and child health and family values. Breastfeeding a child does not constitute an act of indecent exposure and to restrict or limit the right of a mother to breastfeed her child is discriminatory. 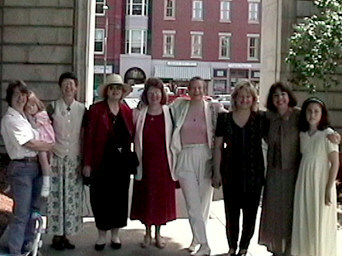 New Hampshire law RSA 132.10d, enacted in 1999 protects a woman's right to breastfeed in public. If a woman feels she has been discriminated against, she should file a complaint with the New Hampshire Commission for Human Rights. 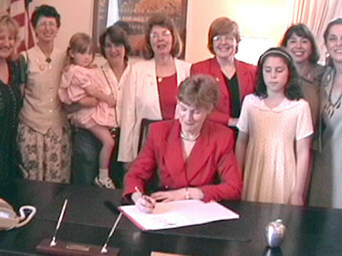 Signed by Governor Jeanne Shaheen on June 10, 1999.